12 volt, 9 Ah for use in Jump Starters, Power Packs, Generators and General Purposes. Length 5.94", Width 2.56", Height 3.74" (Total Height 4.18"), F25 terminals Approx Weight 6 lbs. 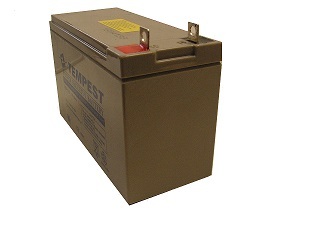 All Tempest Replacement Batteries are new. We do not sell refurbished batteries.